Great Lakes Gray Wolves' Spot Safe On Endangered Species List — For Now : The Two-Way Tuesday's decision by an appellate court is the latest win for proponents of maintaining federal protection of the animals. Gray wolves howl in Ely, Minn. On Tuesday an appeals court ruled they should retain their federally protected status. Gray wolves in the Great Lakes region should keep their spot on the endangered species list, the U.S. Circuit Court of Appeals in Washington, D.C., ruled Tuesday. The ruling upholds a 2014 federal judge's decision that the U.S. Fish and Wildlife Service was wrong to have taken the gray wolf off the list in 2011, citing its rebounding population. Being on the endangered species list means hunting restrictions, habitat preservation and federal dollars used for protecting the animal. But managing the gray wolf population in the region has been a source of controversy and disagreement for years; it's has been removed and put back on the endangered species list several times since 2003. 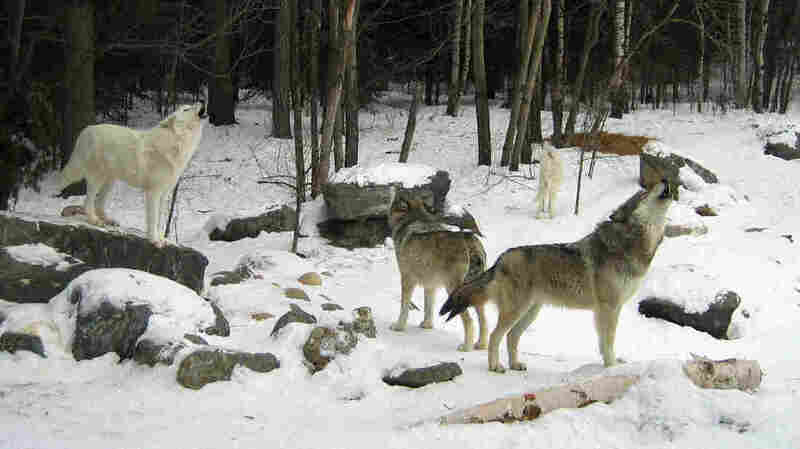 Proponents for removing the wolves say it is best left to the states to control the population. But on Tuesday the three-judge panel unanimously said the wolves should stay under federal protection. The judges wrote, "The Endangered Species Act's text requires the Service, when reviewing and redetermining the status of a species, to look at the whole picture of the listed species, not just a segment of it." "the service had not adequately considered a number of factors in making its decision, including loss of the wolf's historical range and how its removal from the endangered list would affect the predator's recovery in other areas, such as New England, North Dakota and South Dakota." In 1974 the animals were first put on the endangered species list and killing or harming them became illegal. This after hunters had nearly wiped out the population. Today there are around 3,800 wolves living in Michigan, Minnesota and Wisconsin, according to the service. Conservationists applauded Tuesday's ruling and called for more protections. "The second highest court in the nation reaffirmed that we must do much more to recover gray wolves before declaring the mission accomplished," said Noah Greenwald, endangered species program director at the Center for Biological Diversity. "Wolves are still missing from more than 90 percent of their historic range in the lower 48 states, and both the Endangered Species Act and common sense tell us we can't ignore that loss." But the Washington Post reports Tuesday's decision may not be the final word: "Congressional Republicans are currently drafting laws to amend the Endangered Species Act in an effort to roll back its protections."